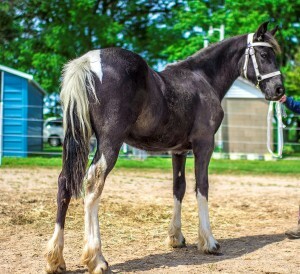 At just over a year old, this beautiful tobiano filly is already 14.1 Hands tall. Expected to be over 16 hands. Born 6/15/16. 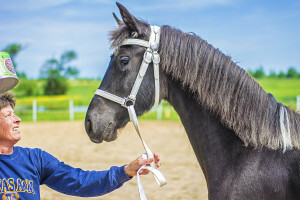 She is Registered and has her DNA on file with Friesian Heritage and Sporthorse. Her price is $4200. 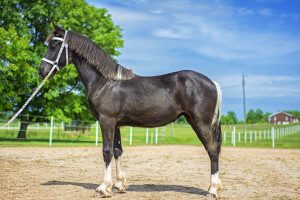 She is built like her Friesian Sire, Asher Of Satin, and colored like her 1/2 Friesian/1/2 Spotted Saddle Horse Dam, Rain Dance, so she got the best of both! This personality plus filly is a people lover. She is very upheaded with a short strong back and lots of bone, feathering, and hair. Rain just turned 5 yrs old. I have been just using her as a broodmare. 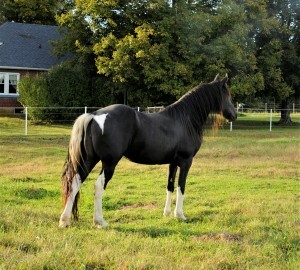 She has a beautiful colt this year at her side (shown on page 1), and is the Dam of “Adorabella” above. 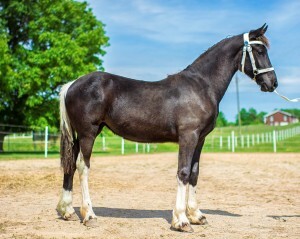 She is available for sale in October, at weaning time this year for $3800. She is sound and ready to start her under saddle training. 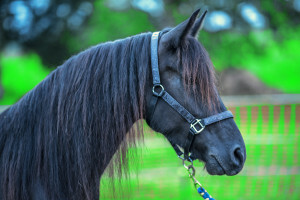 She is 15.3 Hands and Registered with Friesian Heritage with DNA verified and on file. 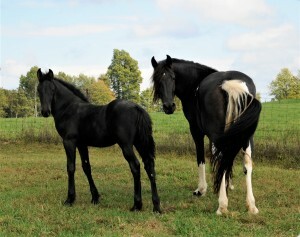 She foals easy and is a great Mother. 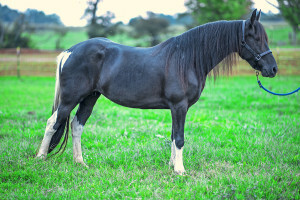 Selling only because I am selling all of my breeding mares this year so I can concentrate on my Stallions. 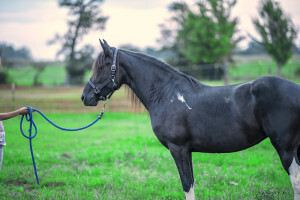 This mare has a powerful rear end and should be a promising Dressage prospect. 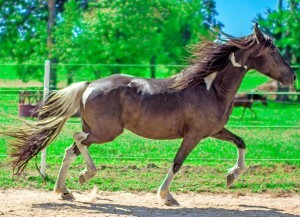 Check out the video of Adorabella 4 month above to watch how beautiful this mare moves!